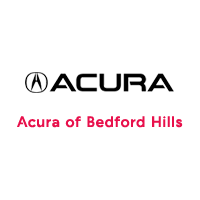 At Acura of Bedford Hills, it’s our mission to help all our customers find the new luxury vehicle that fits their lifestyle and needs best. From family friendly luxury SUVs to sport sedans to the Acura NSX supercar, with so many options to choose from, we’re sure that we can help everyone drive home in the luxury vehicle of their dreams today! We understand that not everyone is in the market to purchase or lease a new vehicle, which is why we’re happy to offer a wide selection of used vehicles as well, including a pre-owned Acura models and a wide variety of other luxury vehicles from automakers all over the world. We’re dedicated to making your vehicle shopping experience as fun and convenient as possible, which includes providing you with all the information you need to determine which vehicle is the best fit for you. Whether you have a specific model in mind or you’re waiting for something to catch your eye, we encourage you to browse our new 2018-2019 Acura and used vehicle inventories to find the vehicle of your dreams today!